This important work not only contributes to understanding the origins and character of John's christological tensions, but it also outlines a new set of theories regarding several innovative dialogical approaches to the Johannine text. In his new introduction to this edition, Anderson engages constructively the responses of his reviewers and outlines his own theories regarding John's dialogical autonomy. Posing a comprehensive new synthesis regarding John's composition, situation history, relations to Synoptic traditions, agency Christology, historicity, and theological tensions, Anderson here summarizes his most significant theories published since it first appeared. In so doing, advances suggested by this pivotal text are laid out in a new set of paradigms addressing the Johannine riddles in fuller detail. 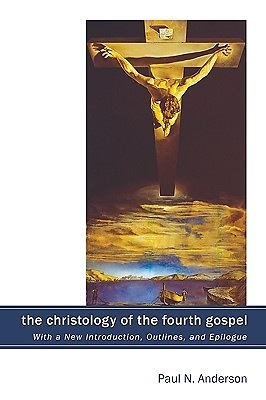 ""New Testament scholars will welcome the third printing of Paul Anderson's The Christology of the Fourth Gospel, made even more valuable with its new informative introduction and outlines. The enthusiastic responses of first-rate scholars confirm the importance of this seminal work and its profound interdisciplinary richness (esp. modern cognitive theories); Anderson's new outlines establish a clear and programmatic set of paradigms for addressing not only theological concerns, but also the larger issues of Jesus's message, vision, and transforming power preserved within the Gospels. I am pleased to celebrate the third printing of a major contribution to New Testament studies."" --James H. Charlesworth, Princeton Theological Seminary ""First rate Probably the most detailed and perceptive study of John 6 available today. From the account of the multiplication of the loaves and Jesus's bread of life discourse, Anderson derives admirable insights into John's Christology and the way the Gospel was composed."" --Raymond E. Brown, Union Theological Seminary ""One of the best of recent books on Johannine Christology. It builds on a sympathetic and critical review of earlier work and is focused on a passage (John 6) of outstanding importance and difficulty. And it is marked by fresh stimulus received from outside the New Testament field."" --C. K. Barrett, Durham University ""Here is a work as seminal and suggestive as R. Alan Culpepper's Anatomy of the Fourth Gospel. In its conversance with biblical scholarship, its exegetical competence, and its bold application of extra-biblical paradigms to Johannine studies, this investigation leaves one amazed at the work's scope and potential impact on the future interpretation of John's Gospel. . . . It is certain to break new ground in Johannine scholarship. . . . Those who engage in further Johannine scholarship without having read this work will do so at their own peril."" --Andreas Kostenberger, Southeastern Baptist Theological Seminary Paul N. Anderson is Professor of Biblical and Quaker Studies at George Fox University. Author of The Fourth Gospel and the Quest for Jesus and Navigating the Living Waters of the Gospel of John, he is also co-editor of John, Jesus, and History (3 vols. ).